The poker world it at its highest point at the beginning of July every year. The Main Event at the WSOP is in full swing with poker pros and amateur poker players alike, competing for their place at the final table. This year’s final table was set in mid-July and since then it has been rather quiet in the live poker world. 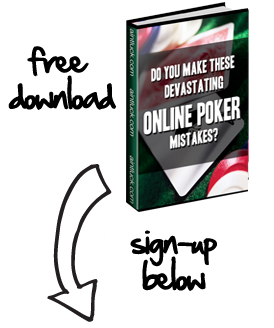 The opposite can be said of the online poker world and specifically online poker players at Full Tilt Poker. The action at the high stakes games have been fierce and there have been some big winners this month. July has been a big month for some of the regular Full Tilt pros and various other Full Tilt players. For instance, player “OnTheRize”, has won just over $851,000 at the high stakes games so far in July 2008. Gus Hanson, a member of Team Full Tilt, has won more than $822K this month, although he has profited more than $1.4 Million at the Pot Limit Omaha Hi/Lo games, giving around $600K back to the poker community in other games. Other notable pros making some serious cash this month include David Oppenheim with over $509K in winnings and Rob Hollink with just over $434K in winnings. The Omaha tables are not the only big tables this month, Full tilt player “pr1nnyraid” has $508.134,25 in winnings since the first of July at the No Limit Hold’em tables. So while others are taking it to the beach and soaking it up in the sun in late July, others are taking advantage of the high stakes games over at Full Tilt and earning some serious cash. You can join these players on the Full Tilt tables but I would suggest downloading through our Full Tilt Referral Code page first so you can get the maximum bonus available on FTP.